Hyundai is looking toward the future. Unfortunately its a bleak future, where humanity is on the verge of extinction brought upon by the Zombie Apocalypse, but, hey, youve got to plan for everything, right? The automaker has teamed up with the creator of the The Walking Dead comic book series, Robert Kirkman, to create a Zombie Survival Machine based on its new Elantra Coupe, which will be unveiled at San Diego Comic Con on July 11th. The car was designed by Kirkman who tapped a decade of experience vanquishing zombies to come up with the key protective features of the vehicle. 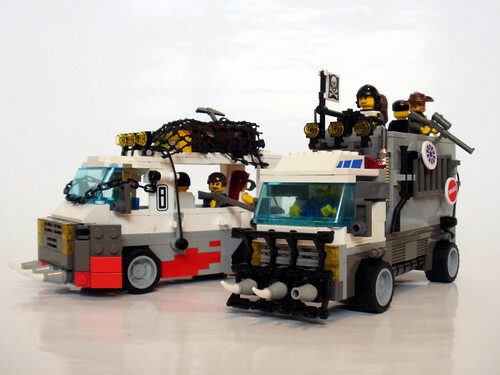 These include a spiked cow catcher for plowing through slow-moving zombie mobs, spinning blades protruding from the wheel hubs, slotted metal plates protecting the windows and a metal fence that pops up around the sunroof opening to create a protected firing position. The car runs on all-terrain rally style tires for high speed driving and has an old-school CB radio to communicate with other survivors. Talk about safety as a selling point. Zombie culture has reached apocalyptic levels in recent years, with dozens of best-selling books, a TV version of The Walking Dead, and Brad Pitts upcoming film, World War Z on the way. Although we hope that the Zombie Survival Machine will ever need to go into production, an illustrated version of it will appear in the 100th issue of The Walking Dead, where Hyundai hopes it will connect with fans and send hordes into its showrooms. Boy, I would LOVE to drive that right through a zombie rally for...er nevermind. I don’t think the spikes on the cow catcher are a good idea. It’s just going to result in being slowed down by impaled zombies that you will have to clean off when you stop. And they may still be active and dangerous, since they haven’t been decapitated or had their brain matter obliterated. Don't know what to Post. I just want everyone to see my Tagline. Sorry, but the 'design' shown in the sketch is completely devoid of a truly workable Zombie Car. Imagine having to pull over to pry the dead bodies out from between the front spikes, so you can see the road. I'd have to go retro. They are making a very good quality product now at a fair price; it would probably sell, although getting the front bumper through the DOT might be a problem; certainly the extra equipment is going to knock down the MPG due to weight and aerodynamics issues. P.S. That model is also a front wheel drive. So you don’t get stuck in the mush from all the vaporized zombies. Speaking in terms of zombies,does anyone here think the word ‘resurrection’ is creepy? It gives me the chills. I hear the word and I picture ‘Return of the Living Dead’,with all the evil dead people rising up out of their graves. The Tarman character from the 1985 movie mentioned above still frightens me. Even in religious terms it’s still a creepy word. Excellent. 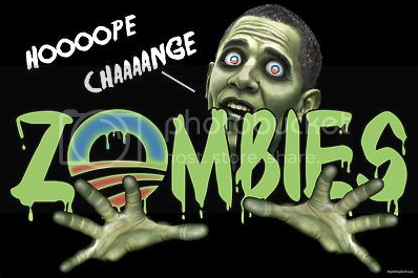 We just need to prepare ourselves according to the CDC guide on surviving a zombie apocalypse, and we're set. It looks painted to me. Is that what they call “shabby chic” these days?